In LEAF, advanced technology does everything from inform to connect to entertain. 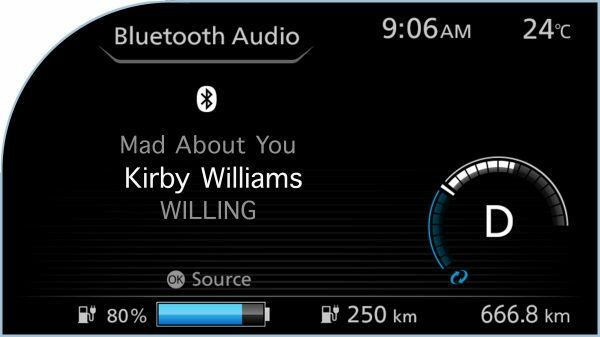 Get every detail of range on a customisable digital information display, sync up your smartphone seamlessly, and feel every note of the powerful, yet efficient audio system. 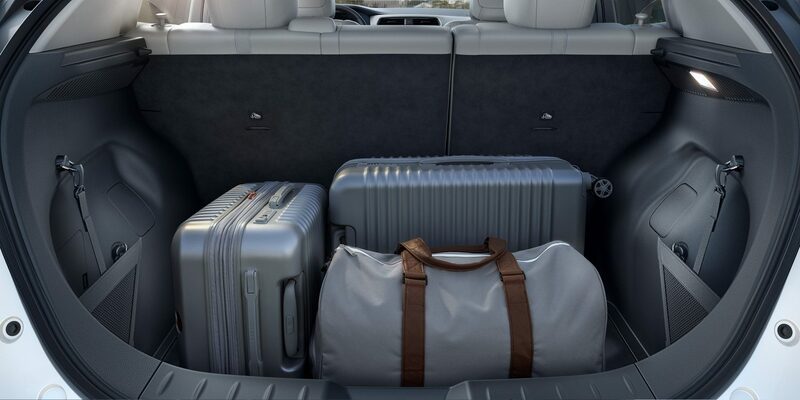 It’s all about making every drive a rewarding experience. 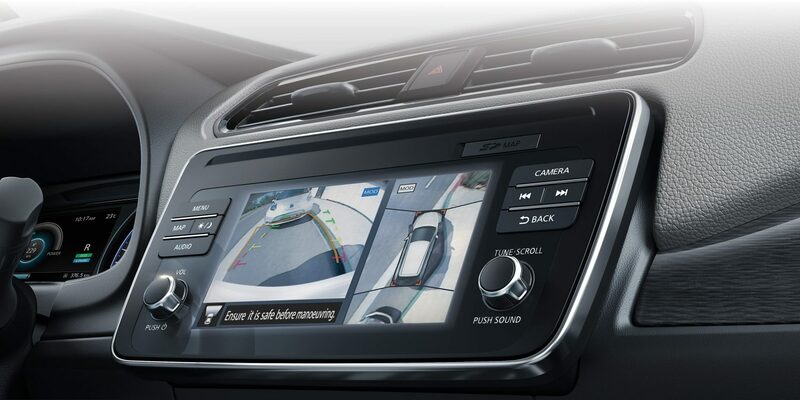 With an innovative digital information display that lets you customise every detail of your drive, from range to power use to navigation, on a stunning, full-colour screen, you’ll always have the information you want at a glance. 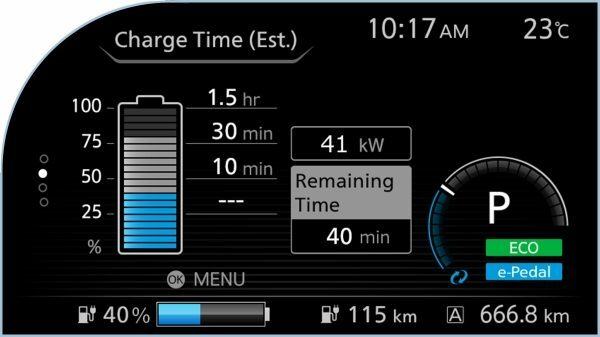 Get all the vital information displayed together, including range, battery level, and power usage. How much range do you have left? 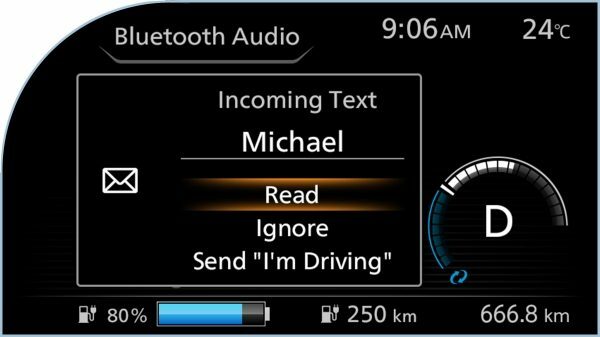 A glance at the easy-to-read display will tell you instantly. 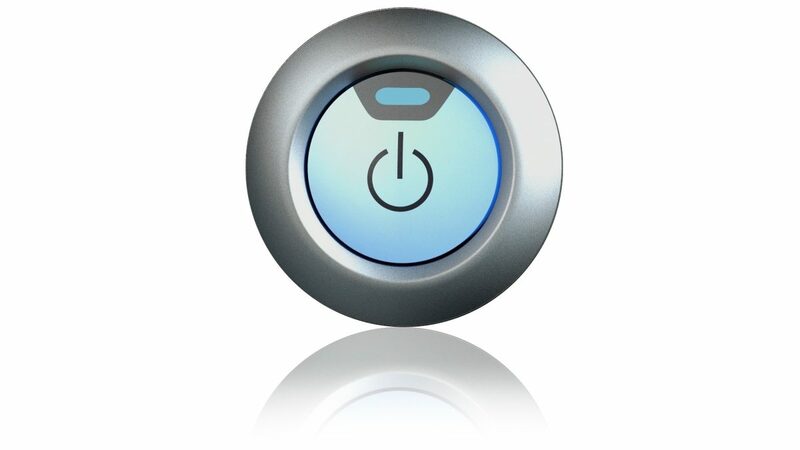 Plug in your destination and get turn-by-turn directions displayed right in front of you. With streaming audio at your fingertips, you can play music directly from any Bluetooth-enabled device. Caller ID will display the name of the person calling you. No need to take your hands off the wheel. Whether you’re planning an afternoon of golf or a day at the beach, LEAF is ready to fit what you need with 60/40 split rear seats, an impressive amount of cargo space, and a low rear cargo floor. It all adds up to a vehicle that can adapt to your life. 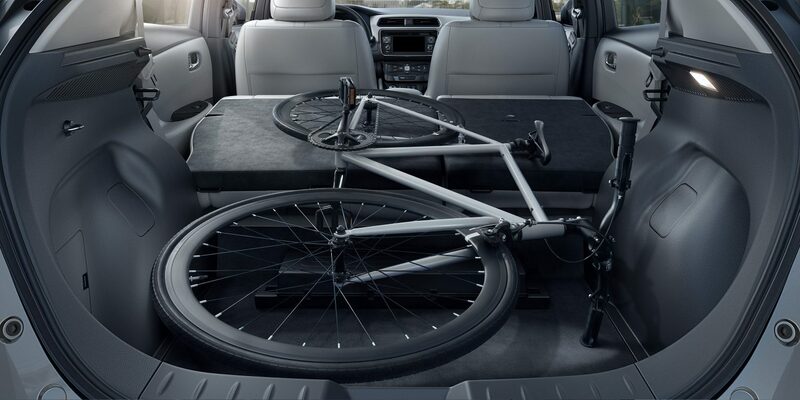 With rear seats that fold nearly flat, you’ll have no problem bringing a bike on your next adventure. Bringing people and cargo? Just fold one of the 60/40 rear seats down and fit both. Stretch out and relax in a spacious interior. 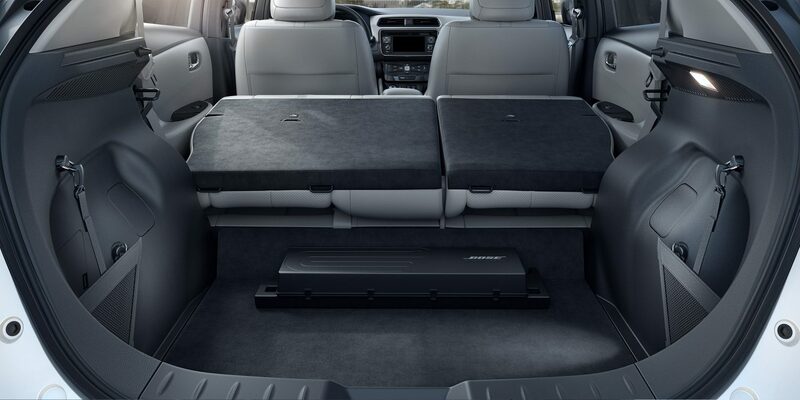 Room for up to 5, plush seating and plenty of legroom make every drive enjoyable. Is the cargo cover removable? 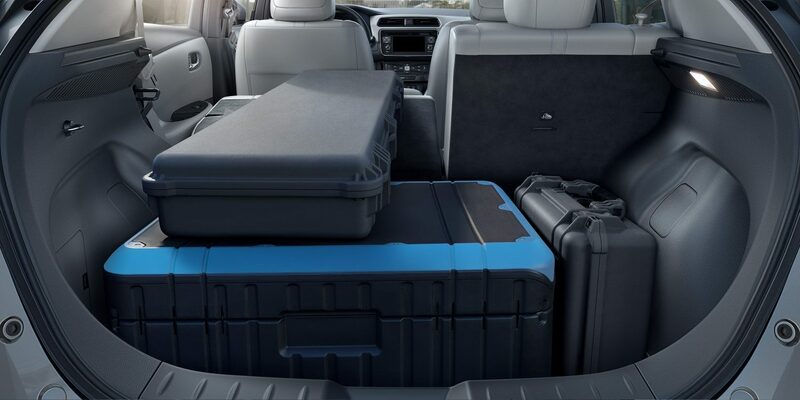 Keep your cargo from prying eyes with a Rear Cargo Cover that swings up and out of the way when you open the rear liftgate. Or you can simply remove the cover when not in use. 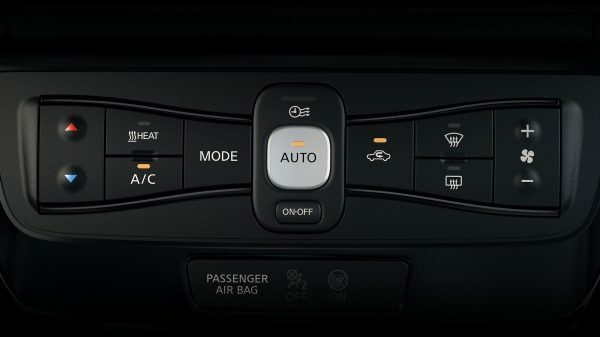 The automatic climate control system features a stylish control unit that lets you dial in your perfect temperature. Just set it, and the system adjusts accordingly to maintain the ideal level of air-conditioned comfort. With your comfort in mind, Nissan engineers looked to the cosmos, where astronauts float weightlessly in space. 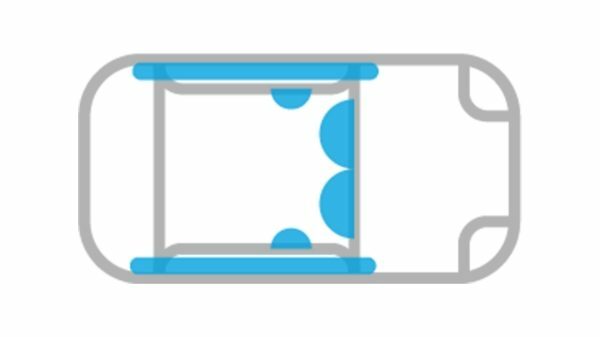 To help simulate this effect, they designed an articulated front seat shape that helps support you from the pelvis to the chest, along with seat cushions that flex in response to your unique pressure points. 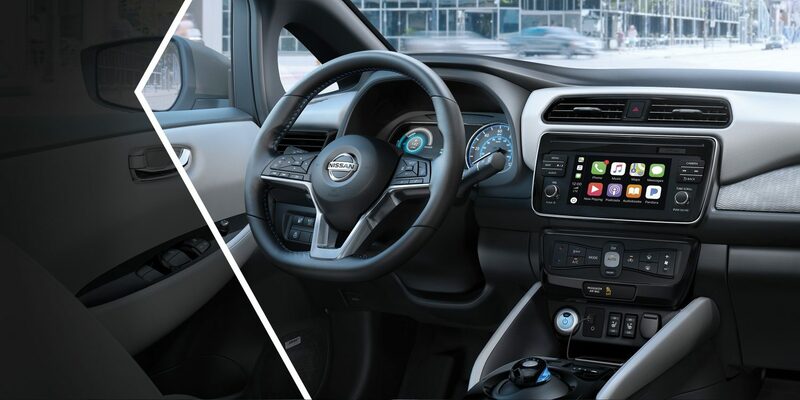 With the Nissan Intelligent Key in your purse or pocket, you just get in, push the button, and go. Eveything about LEAF is easy. 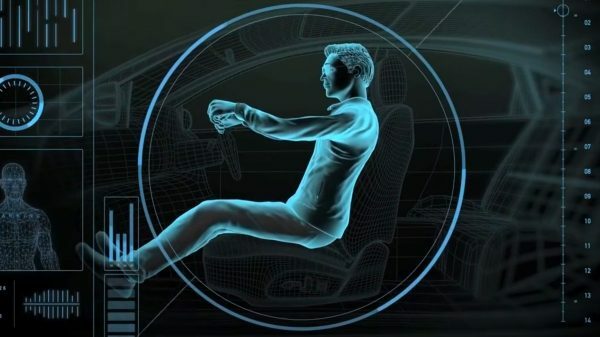 Nissan’s Advanced Airbag System features six airbags that help keep you safe in the event of an accident. 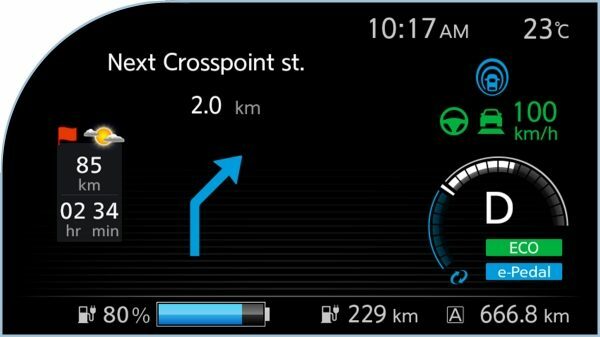 Vehicle Dynamic Control (VDC) continuously monitors your steering and braking, and compensates for oversteer or understeer by reducing engine speed and/or applying brake pressure to specific wheels. 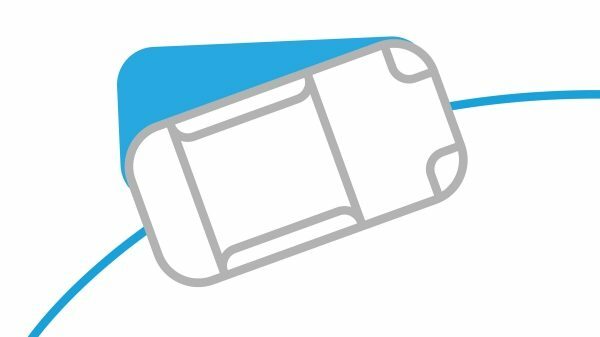 Additionally, the Traction Control System (TCS) responds to front wheel slippage by instantly reducing throttle, which helps you maintain control. 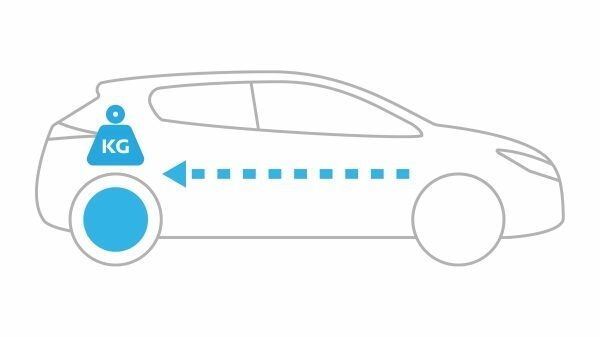 Electronic Brake force Distribution (EBD) detects extra weight in the back and adjusts the rear brakes accordingly. And if Brake Assist senses an emergency, it provides extra pedal pressure, and can activate ABS and EBD more quickly. 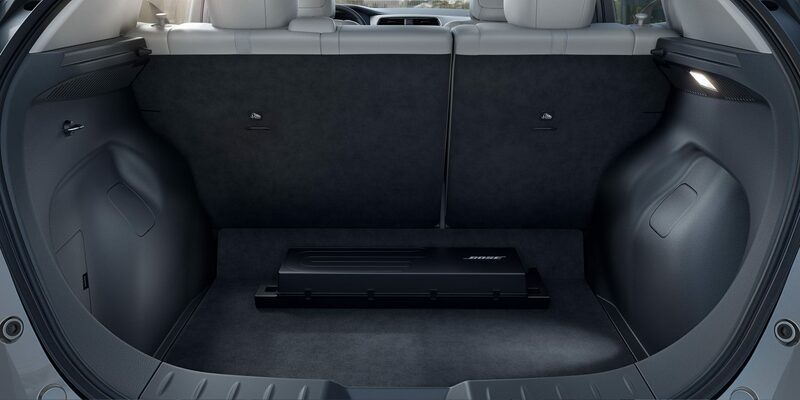 When you have to brake suddenly, the Anti-lock Braking System (ABS) pumps the brakes faster than you ever could. 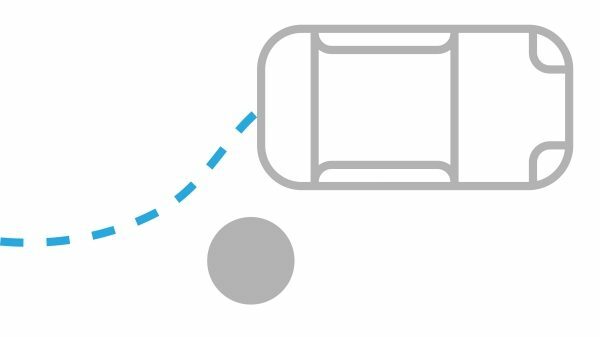 This helps you maintain control by preventing wheel lockup, which in turn allows you to steer around obstacles in your path. 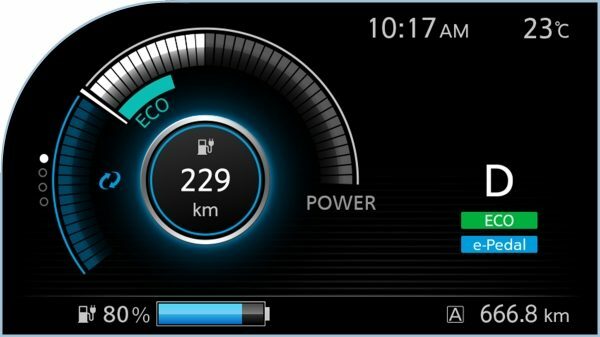 The Nissan LEAF’s Tyre Pressure Monitoring System (TPMS) lets you know whenever a tyre is low. 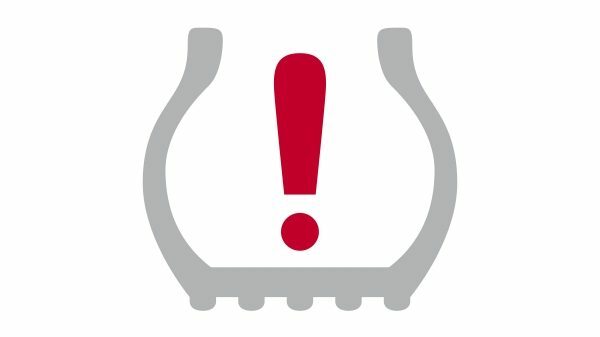 And the Easy-Fill Tyre Alert takes the guesswork out of filling your tyres, with a beep of the horn to let you know when you’ve reached the correct pressure.